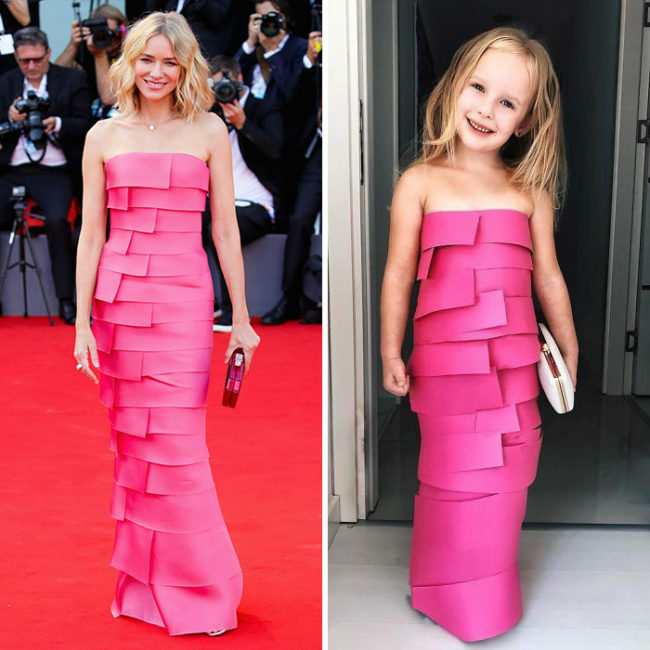 Ever wanted budget red-carpet outfit recreations? Well, you’ve come to the right place. Alya Chaglar from Turkey is an awesome artist and mother. 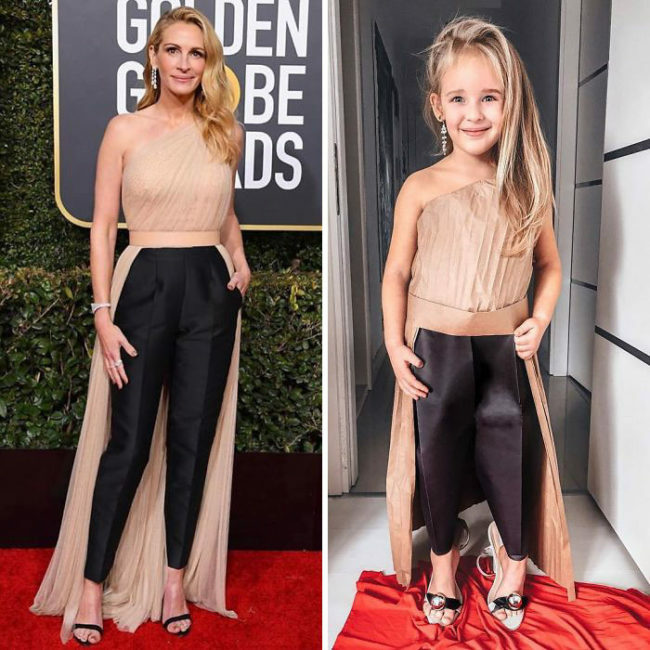 She loves working with her adorable daughter to create stunning outfits from the red-carpet itself! Alya’s daughter loves her outfits so much that she can’t possibly choose a favourite, she wants to be a fashion designer when she grows up. By the looks of it, she is already halfway there! Honestly, I can hardly tell the difference with this one! 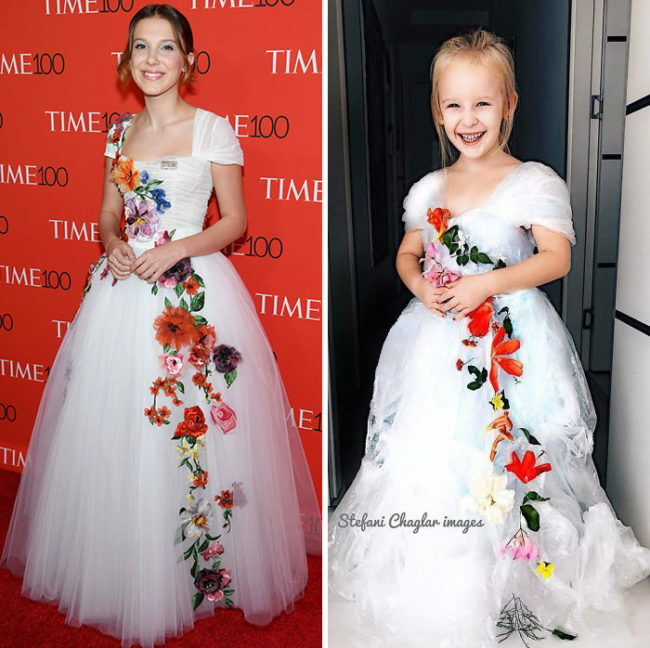 The dress is so well done, it looks exactly like the original. I LOVE that she has drawn the birds on too, it looks so awesome! 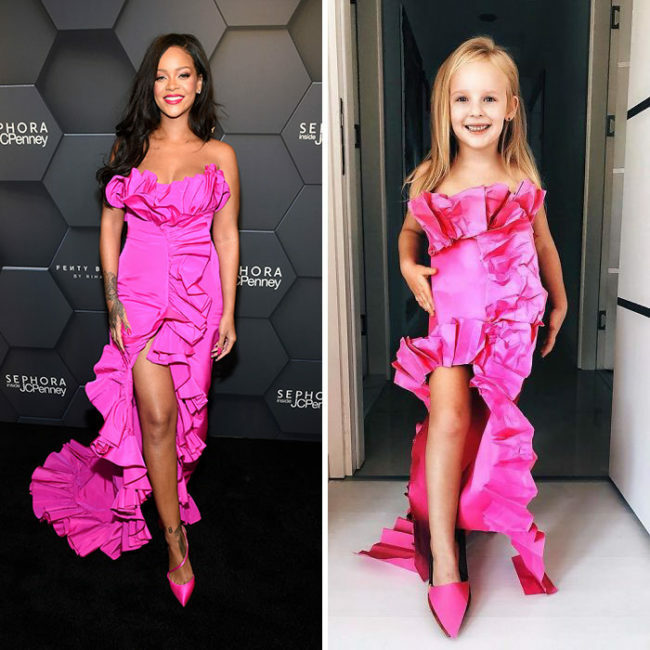 Alya definitely has a talent for budget red-carpet recreations. 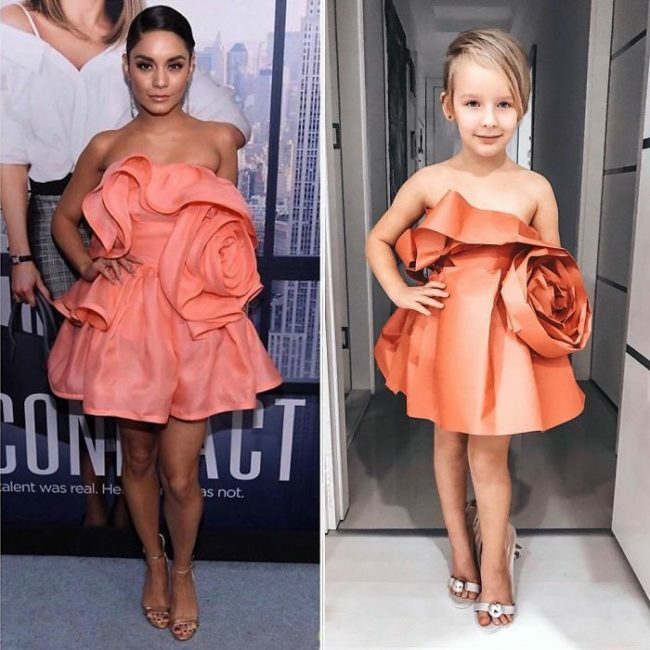 This mom deserves top marks for creativity here! This is the kind of dress that really would turn heads on the red carpet and it looks so similar to the original. Don’t get me started on how adorable she looks here! 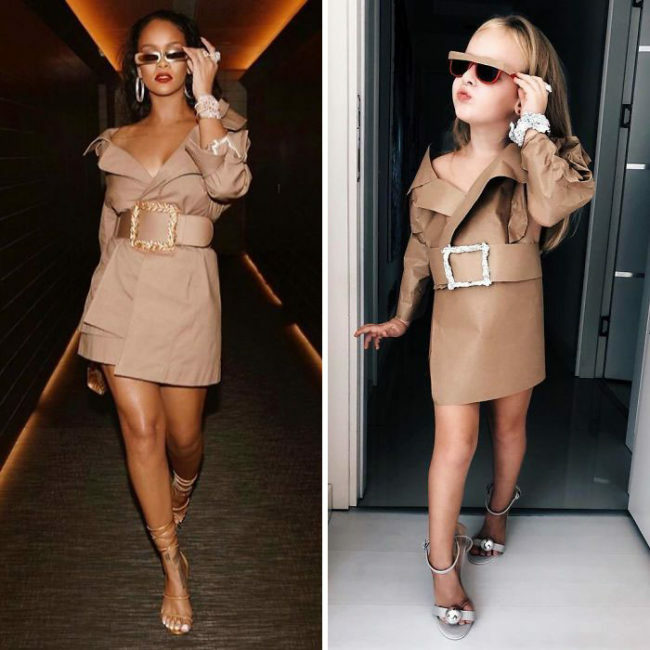 I’m sorry, but this kid has more sass than Rihanna and that’s saying something! 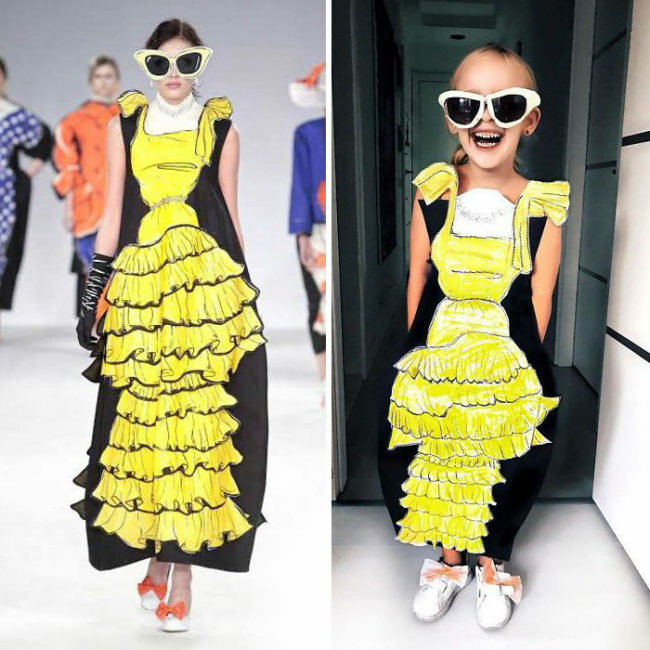 I honestly think that Alya’s daughter wore this one better, the plastic makes it much more creative too. Don’t tell Rihanna I said that though. 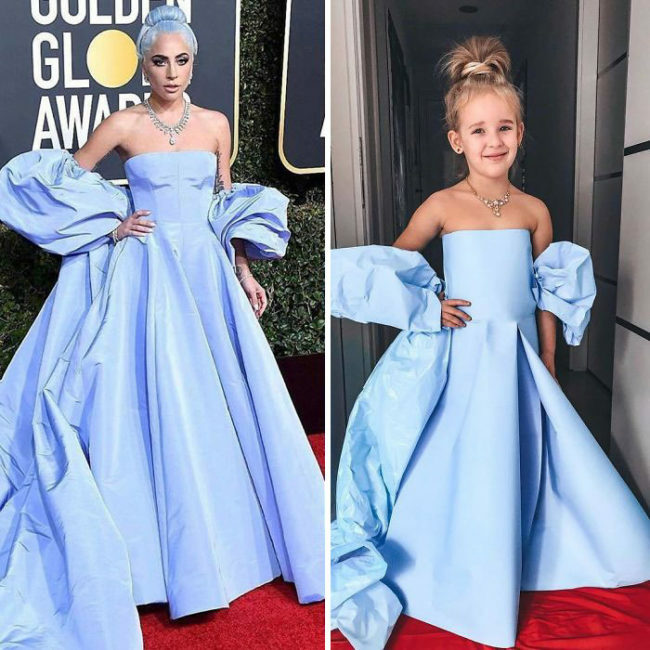 There’s honestly no difference between these two dresses! They both look lovely and even though the second one is on a budget, it still looks just as good. Amazing recreation here. 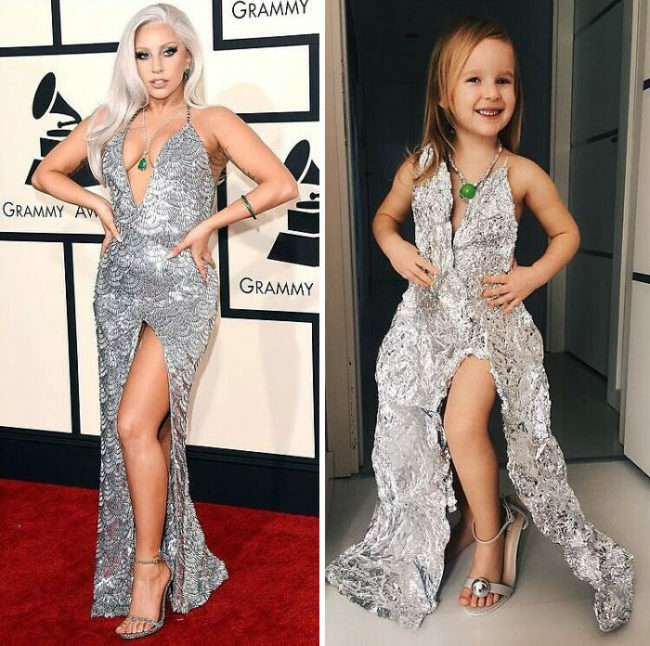 Gaga’s dress was stunning but Alya’s doesn’t look far off it! 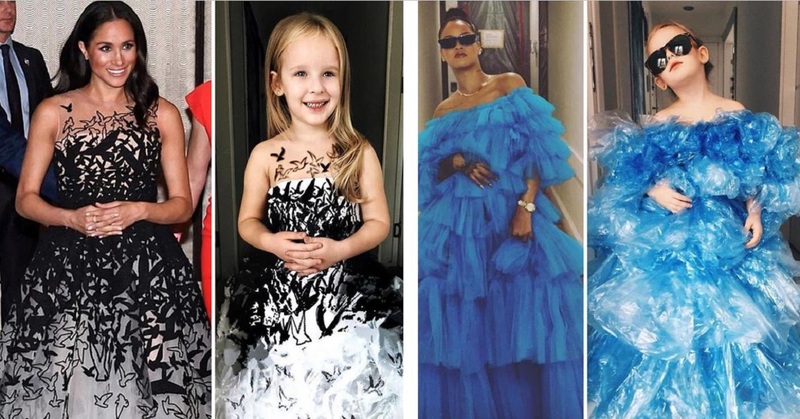 Honestly, this mom has an incredible talent, she’s showing the rest of us up! 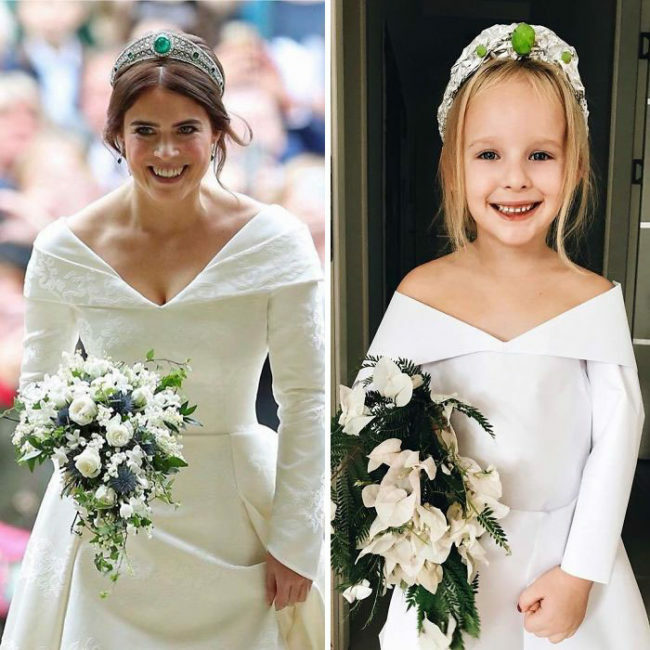 Both girls look stunning and I can’t see any difference between their dresses! I would happily wear either of them and Alya’s daughter certainly looks very pleased with this one! I think she’s laughing because she feels slightly crazy wearing this bold outfit. To be honest, they look identical. I’m pretty sure the first one is just coloured paper too? But hey, what do I know? I’m definitely no fashion expert unless fashion is sweats and a jumper with food stains. Absolutely nailed it! Plus her smile is just as sassy as Cardi B is. She is born to be a powerful woman, you can just see it! 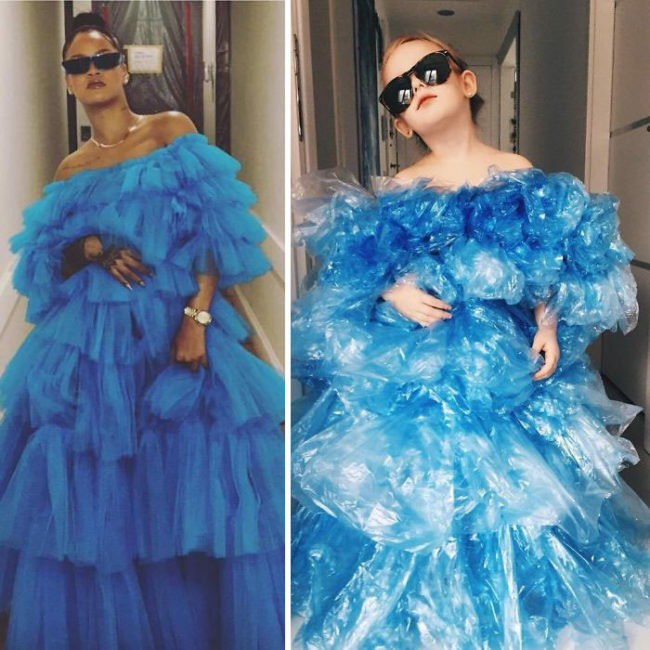 Who wore it better? Honestly, I can’t decide they are both absolutely killing it. Again, I can’t see any difference between their outfits, Alya’s creativity really does know no bounds. Uncanny. This one is incredibly impressive. I think that I could even recreate this one, would extra large post-it notes work? 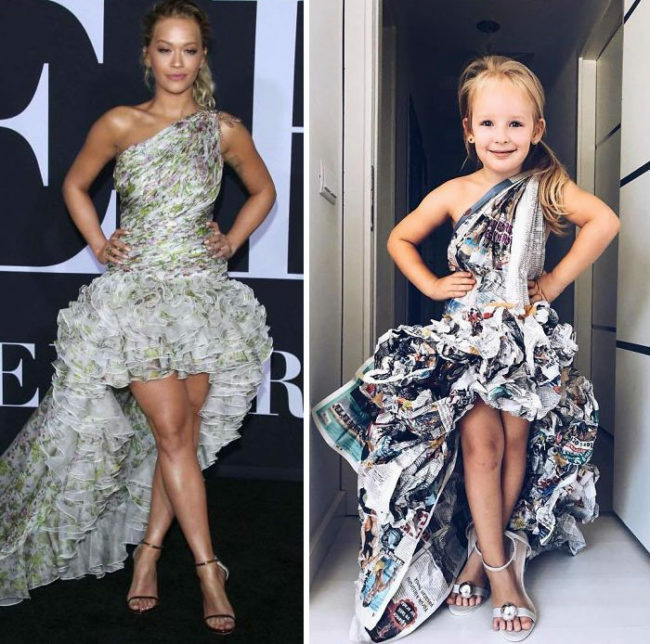 Alya and her daughter SOMEHOW make paper look like designer dresses and it completely baffles me. Again, she looks like she could out-sass Rihanna. Ready for her big day. This one is seamless and I am very impressed! Even the smiles look the same, its getting a bit too similar now. Gosh, this mom can even make TROUSERS out of paper. Her talent really does know no bounds! I wonder how she put these on without ripping them? That’s a talent in itself. 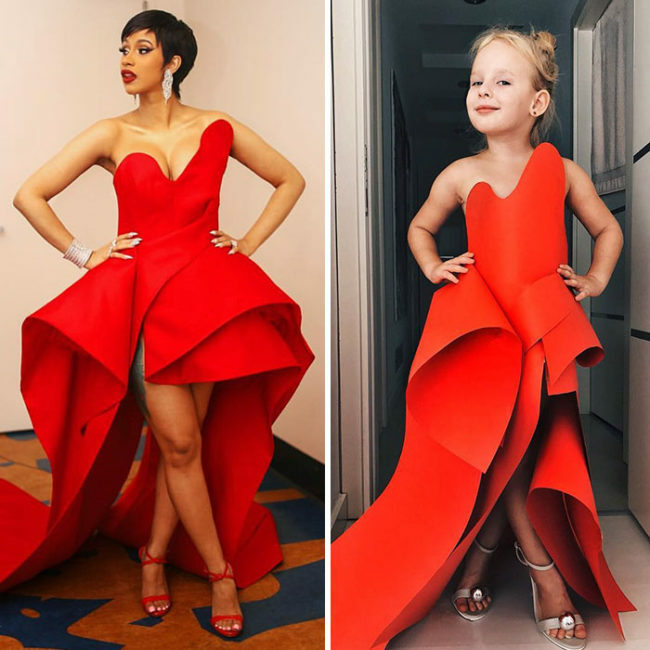 This dress is awesome and they are both killing it! 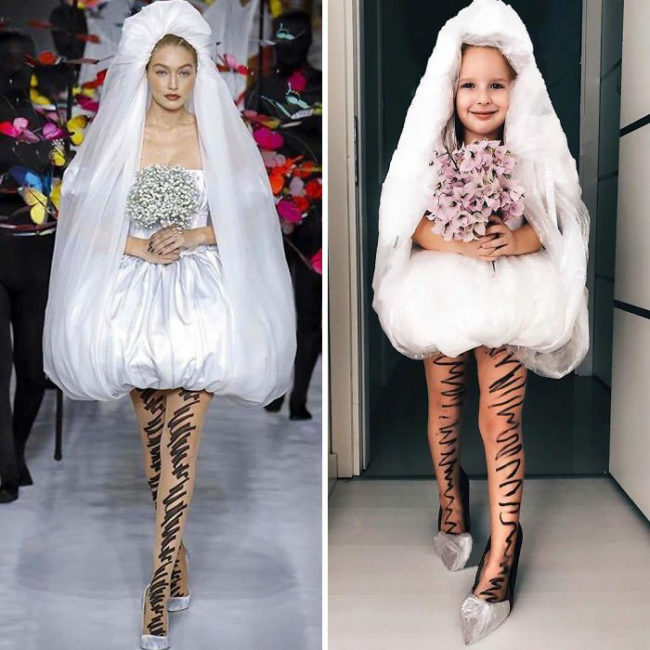 Such a unique idea and it looks boldly creative on both of them. No offence but this one really does look like a spreadsheet. Super handy if you need to note down your finances or anything! 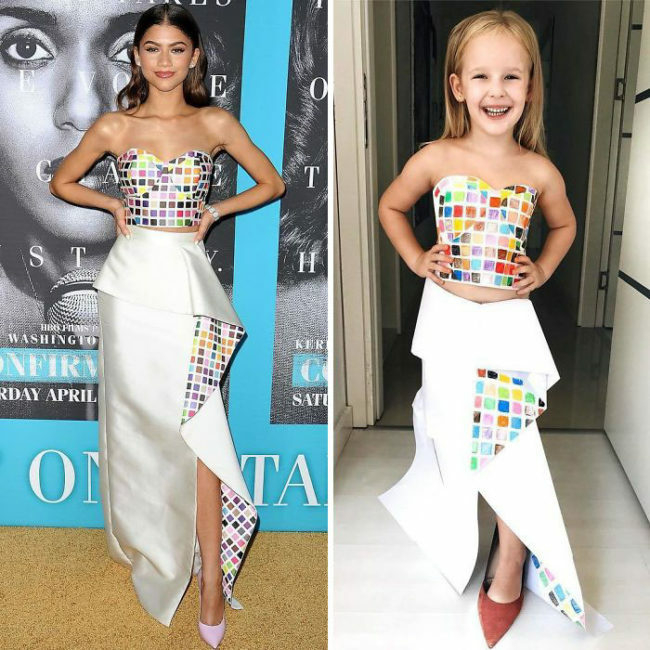 Even though its weird looking, Alya has still created a perfect budget recreation of this spreadsheet dress. Honestly, foil all the way. I might just start to make all of my clothes out of foil from now on. Then all of my clothes would look like awesome red-carpet outfits, right? That fringe though, it’s gorgeous! 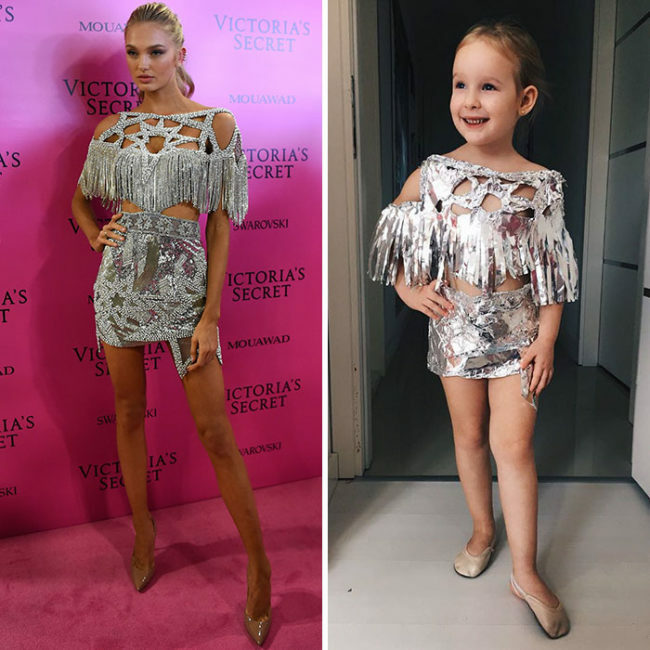 If she recreated this one out of foil too, I’m very impressed. How did she keep the fringe so straight without crinkling it? She’s definitely magic. These runway models really do wear the strangest things. Very impressive from Alya to create such an exact recreation! 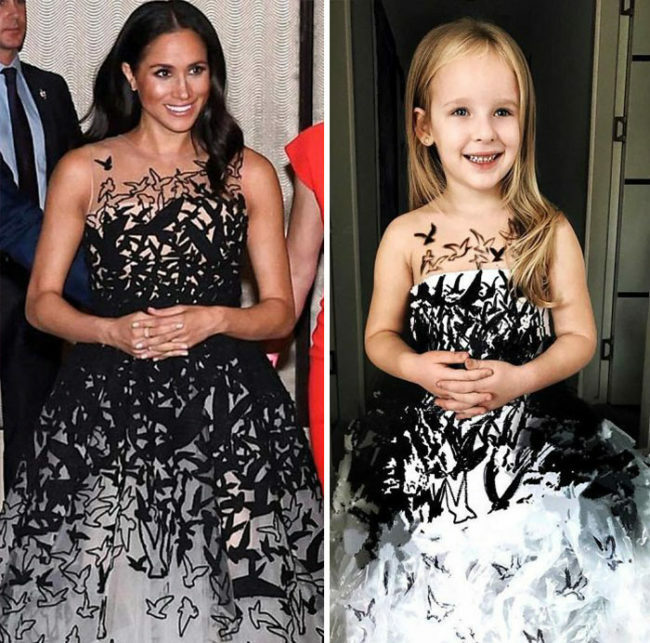 These dresses are literally IDENTICAL. The marker lines on her legs KILL ME its just so brilliant! 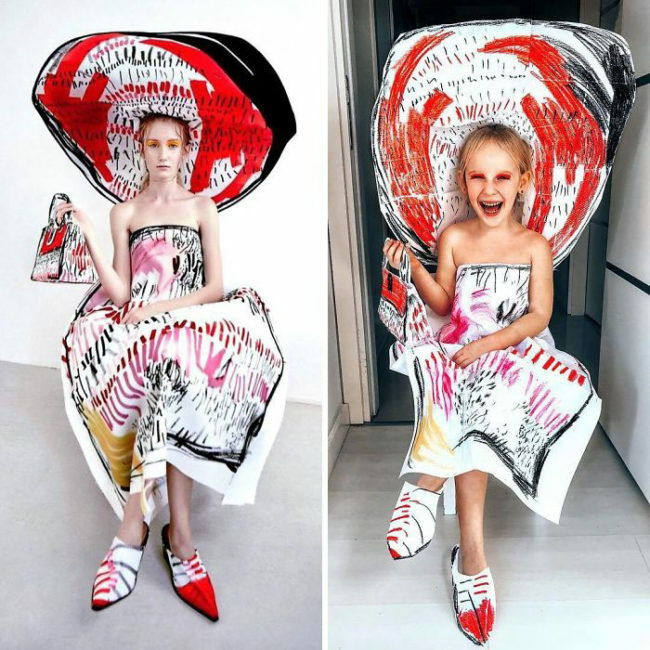 Red-carpet fashion at a fraction of the price, you just need a good Sharpie! How does she get the colours to match so well? It’s a real talent. These dresses are basically the same, Alya has completely nailed this one! Do you think you could turn your hand at any of these awesome recreations? 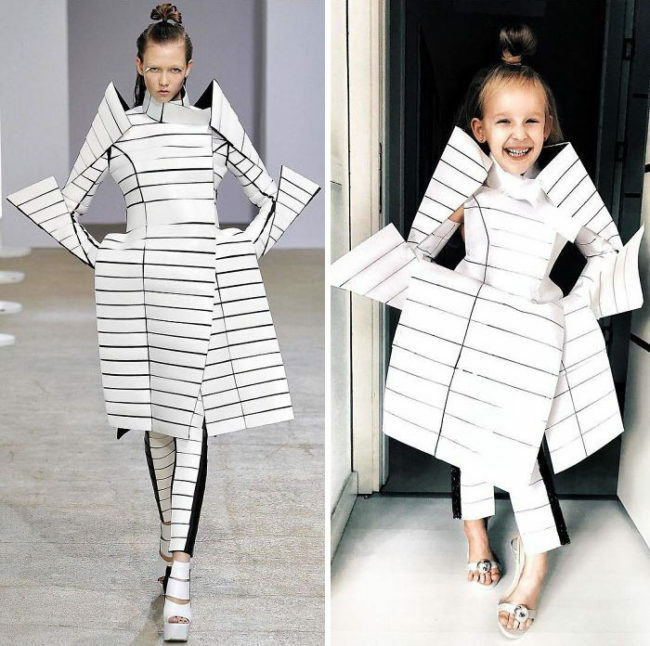 I know I couldn’t, Alya is incredibly talents and her daughter will be huge in the fashion world! All I know is that the next time I don’t have an outfit, coloured paper and foil are going to be my new best friends.